I am truly delighted to be the first to congratulate Carlos on this well documented collection of some of his best architectural abstractions; some of which- I am ashamed to say – I was not acquainted with. Through the works figured above, we journey into the stylistic world of the architectural landscapes: formal concepts of his own individualism and symbolic representation. This accolade is well deserved. 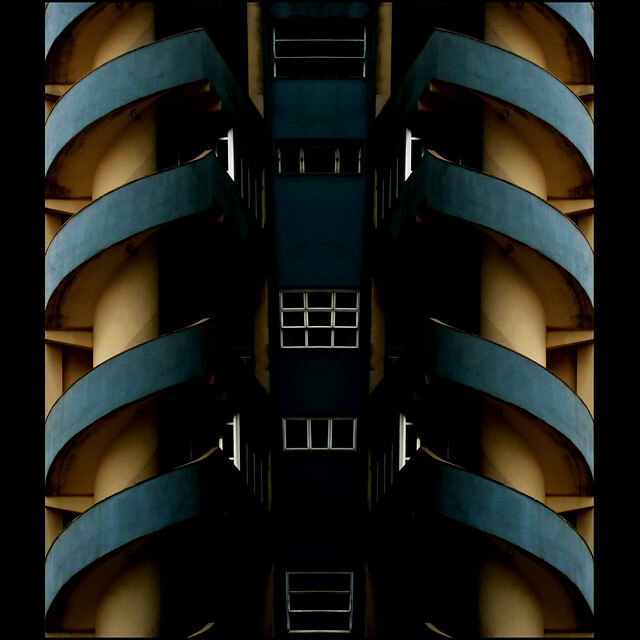 The evolution of Carlos’s photographic works have developed into a stylish form of neo-impressionism in architectural photography – a new (rationalist) approach in style that is equally expressionistic and more adequately captured by his keen eye. Interestingly, from the earlier days of my acquaintance with him on this site, I have gradually followed this directional progression. He’s clearly a visionary artist in the broadest sense of the term: someone with a unique and distinctive vision of the world about us that expresses that vision through his art. It is indeed with great pleasure that I wish him all the success he deserves. Un abrazo Carlos. What a buzz for you! Thanks to all for your visit, kind words, encouragement and in a way patience for my boldness, and errors. and I repeat that I have learned with you all. 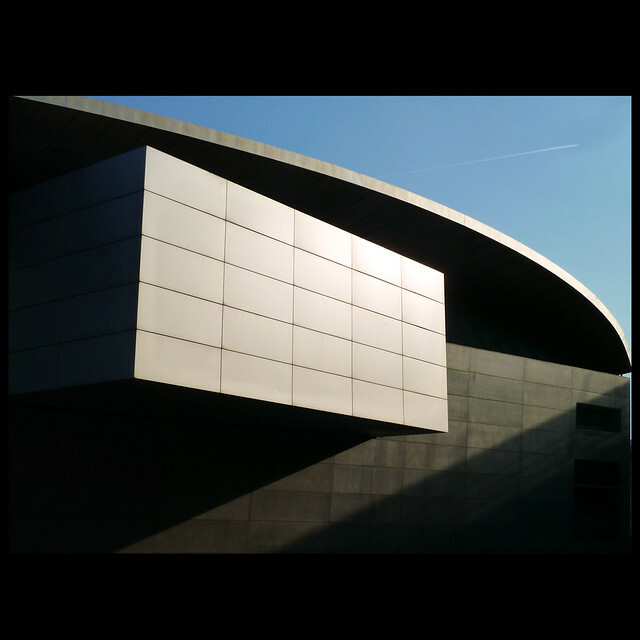 Abstraction and architecture, great subject… and great exhibition, too! Congratulations to Carlos and Lina! It is about time for Carlos to have an exhibition of his excellent body of work. Nicely curated by Lina! Stairs are the ultimate actor on the architectural drama as seen here! I like the photographic work of Carlos , I believe that he have a great strength in the composition. Also I am convinced that the photo cannot really represent the architecture and then it needs to adapt the photographic representation and to turn the architecture into something of other. I strongly share the way with which this artist looks and photographer. I appreciate a lot this selection of his works. O que esta pequena colecção revela é uma invulgar capacidade para a composição e para a apropriação da cor e das formas. Em todas elas é bem perceptível a sensibilidade de artista. 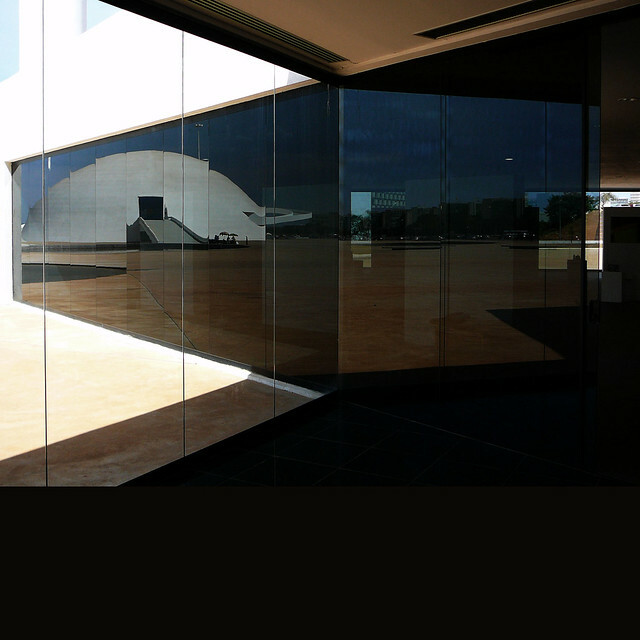 Beautiful choice for a diversitiy of ways of looking at architecture. Wonderful work Carlos and Lina. I have been learning from Carlos’ work from a time now and all I can say is that he has already printed a personal mark wherever he exhibits his work, be it on social netwoks or virtual exhibitions. Despite the fact that he has just started to photograph for a year or so, one can immediately recognize his images and that’s one thing that every photographer aims for. Thanks Lina for the excellent selection. Thanks Carlos for your talent. What can I say say about Carlos Patica’s work. Grandiose, I suppose. And a very good selection made by Brancolina. I really love these photographes. Can gaze at them for minutes each and drift away. Beautiful ! As a privileged witness of the first steps of Carlos in photography, it’s a great pleasure to follow his evolution in this art!! He is so talented and creative, that it seems photography has always been part of his life. He has a unique look over his surroundings, specially over architecture. His abstractions show us other ways to look at things, always surprising and stimulating us. This is a nice selection of some of his great works! Carlos, congratulations for your talent!! Thanks for your friendship!! Carlos inspires me in my own photography, sometimes I find myself trying to see my subject how Carlos would see it…! I see him as a true artist that can shuffle between mediums with effortless effort. Great to see photographers that are not inhibited by the confines of a little box and a push of a button, producing moments that intrigue, question and satisfy the viewer. Let’s see more! There are several real gems in this collection… Inspiring!